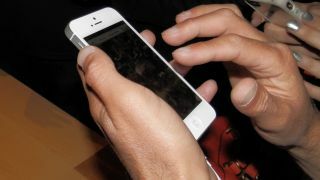 Apple has revealed that pre-orders for the iPhone 5 have been more than double that of the 4S – bringing the total to 2 million in just 24 hours. There was no doubting that the iPhone 5 was going to be a success, given the amount of pre-release hype the rumour mill offers up for the phone, but even by Apple's standards the pre-order haul is impressive. According to the computing giant, Apple will ship the majority of pre-orders on September 21 when the phone is officially on sale but there will be some orders that will fall into October. Given the Apple Store changed its tune within a few hours of the iPhone 5 being available to shipping the handset 'in two to three weeks' this isn't really a surprise. Philip Schiller, Apple's senior vice president of Worldwide Marketing, said about the news: "iPhone 5 pre-orders have shattered the previous record held by iPhone 4S and the customer response to iPhone 5 has been phenomenal. "iPhone 5 is the best iPhone yet, the most beautiful product we've ever made, and we hope customers love it as much as we do." Apple is opening up its stores at 8am September 21 to handle the iPhone 5 deluge – given that there are already queues forming, this time won't come soon enough for those brave stupid enough to camp out for a gadget.